Zellaree “June” Bunn, 86, passed away on September 17th, 2018 in Melbourne, Florida. She was born on June 11th, 1932, in Knox, Indiana, the daughter of Boyd D. and Cassie Mae (Fletcher) Risner. She was preceded in death by her parents, sisters Yvonne, Shirley Mae, Elizabeth and Bertha Jean, and brothers Lester, Linvel, Randolph, Carl and Bobby. She is survived by her son Gregory, and her grandson Russell. Also surviving are her sister, Lexie Feece of Ancilla, Indiana and brother Harold Risner, of Knox, Indiana. June graduated from Knox High School with the class of 1949 and worked multiple jobs from an early age, always supporting her family. She was a hard worker, and always put others before herself. June was a family oriented person, finding joy in seeing her large, extended family whenever the occasion arose. She also enjoyed traveling with her son and grandson, seeing some of the great cities and sites throughout America and the world. 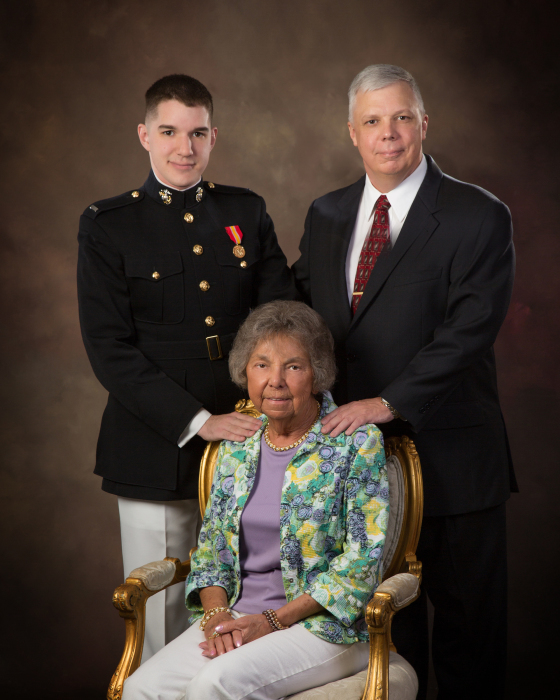 June was the mother and grandmother of two United States Marines, she selflessly raised both and supported their endeavors to the fullest, and was very proud of their accomplishments. Kind, hardworking, brave and intelligent are qualities that she will always be remembered for and that will be passed down to her future generations. Her ashes will be buried at Southlawn Cemetery in South Bend, Indiana on April 17th at 1 pm. Online condolences may be sent to the family at www.palmerfuneralhomes.com.